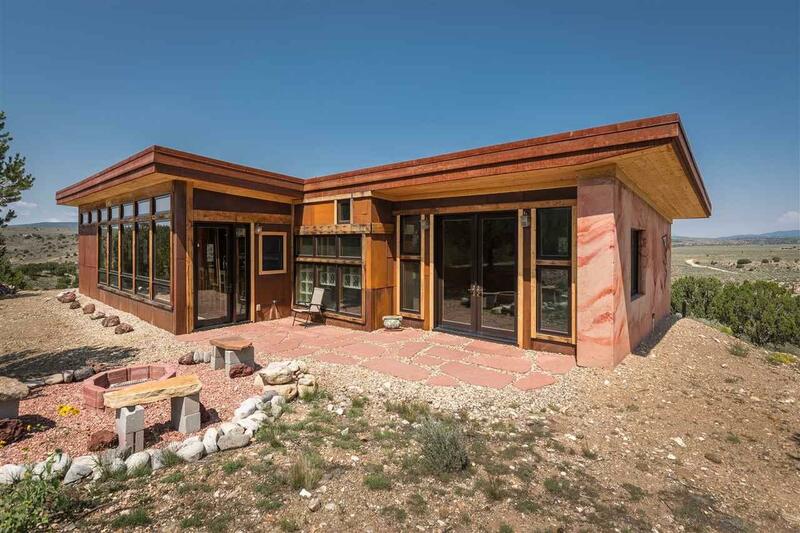 This home was built using the "Cast Earth" model invention of Harris Lowenhaupt. Cast Earth has some very interesting and useful properties. 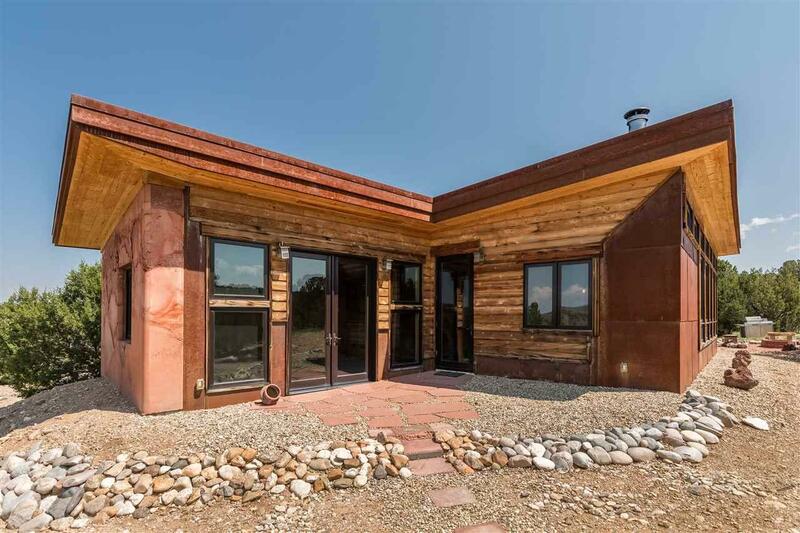 The compressive strength is about the same as adobe or rammed earth, sufficient to support most conventional building loads. The tensile strength, however, is several times greater than these materials, which makes it much stronger and perhaps more durable. 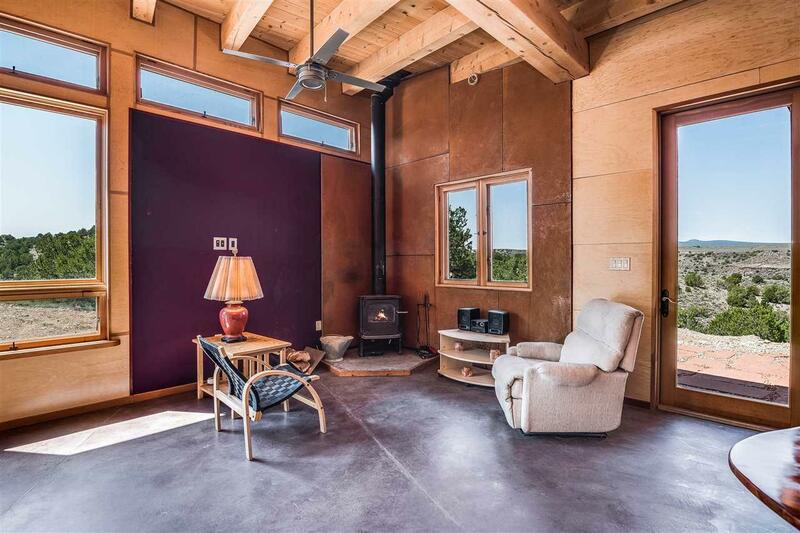 The architect, Michael Frerking, formulated the exact mix (with 4" of R30 foam sheet insulation centered in the 20" thick walls). The home features two beautiful bedrooms, all walls custom stained. 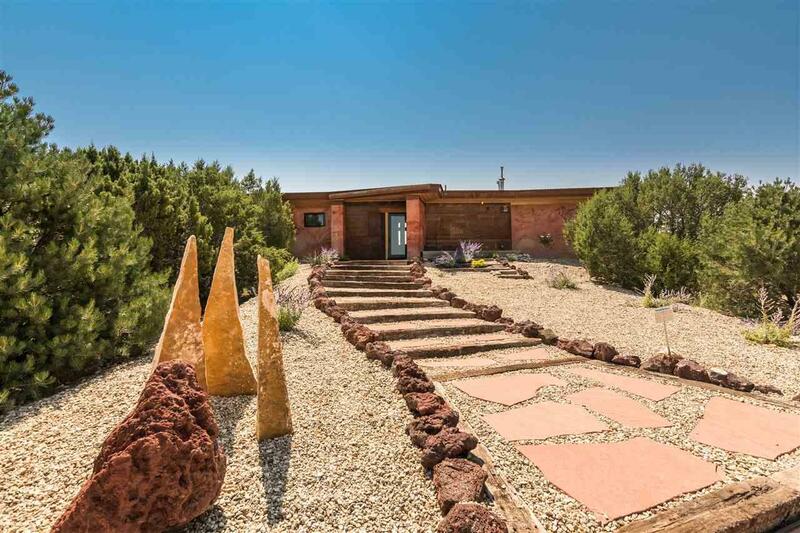 Living area is an open concept with views of the Rio Grande Gorge. Stainless steel appliances and custom kitchen add to the uniqueness of the property. 14.5 acres to walk on! The property borders BLM land. Also within walking distance of the Manby Hot Springs. Tranquility and peaceful Taos home. This is what living in Taos is all about.